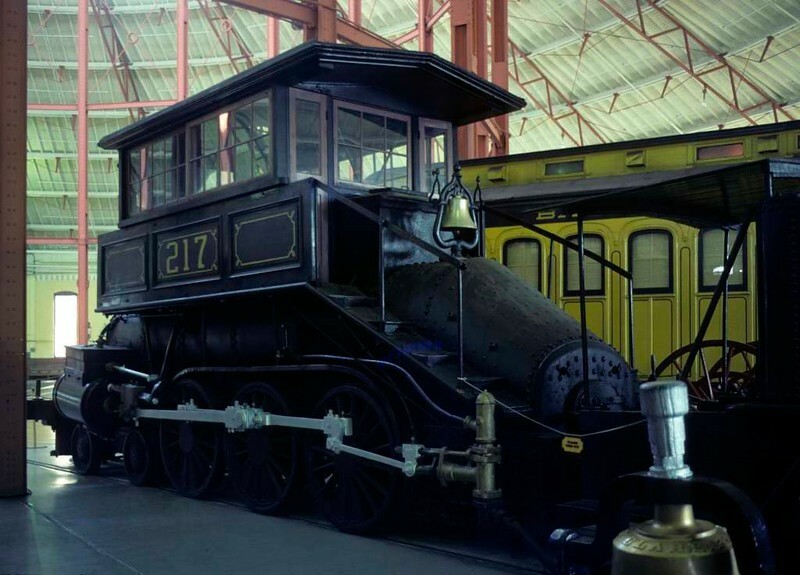 Baltimore & Ohio RR No 217, Baltimore & Ohio Railroad Museum, Baltimore, Maryland, August 1979. 'Camel' 4-6-0 built in 1869 by the B & O. Over 100 of these locos were built. The very large firebox, designed to burn coal efficiently, forced the very unusual position of the cab. It was used only by the engineer; the fireman was in his usual place, making it hard for the two men to communicate. Photo by Les Tindall.